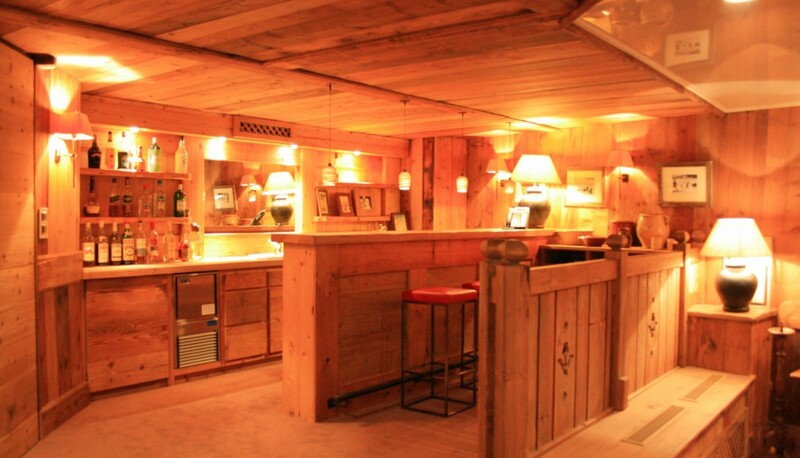 Chalet Bouvier Megeve. 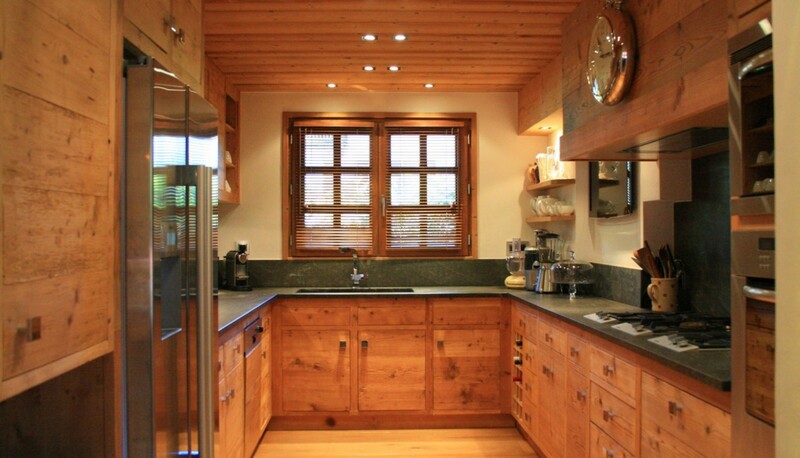 If you are trying to arrange a luxury ski holiday for a large group or family, you know that it can be challenging to find something that all will approve. 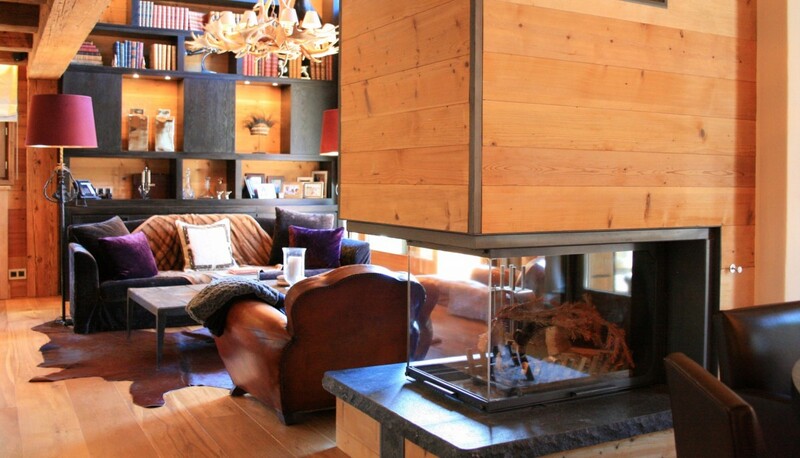 You can end your seach with the amazing, beautifully renovated Chalet Bouvier. 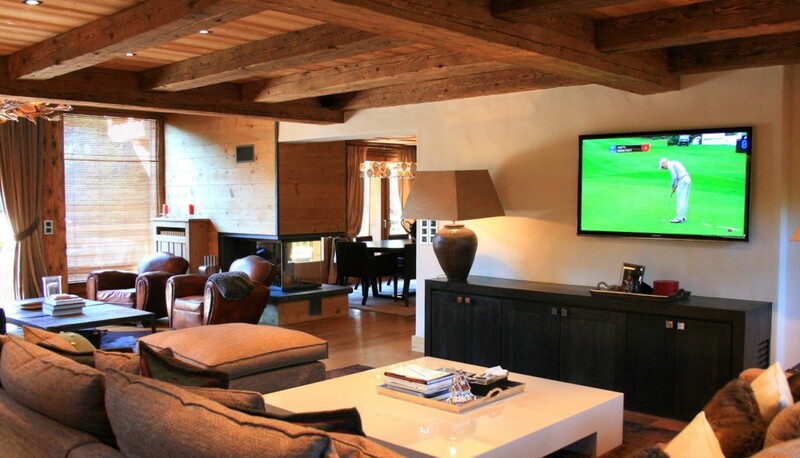 Located in the heart of the coveted Megeve Village in the French Alps, it is a seven-bedroom gem full of truly world-class amenities and services. 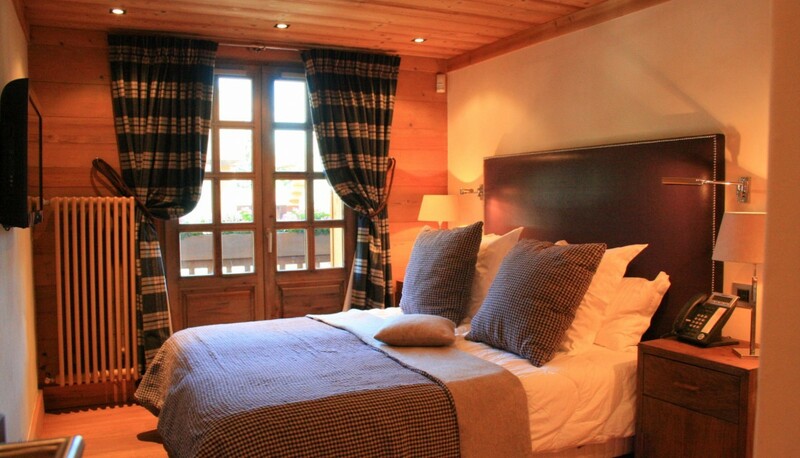 Walk to the best lifts, but keep in mind that your chalet may have all you need for a day of restorative fun. This is why it is such a good choice for the mixed group of skiers and non-skiers alike. 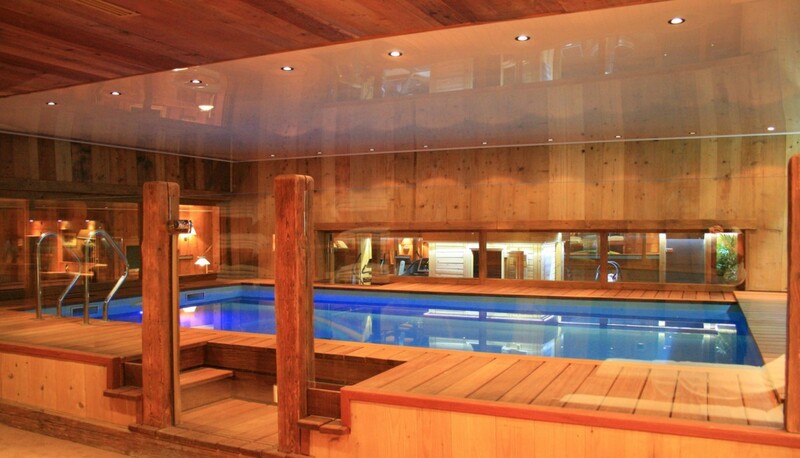 After all, it is one of the few chalets with its own heated pool, and wellness level offering a massage suite, a fitness center, a hammam and a large Jacuzzi. 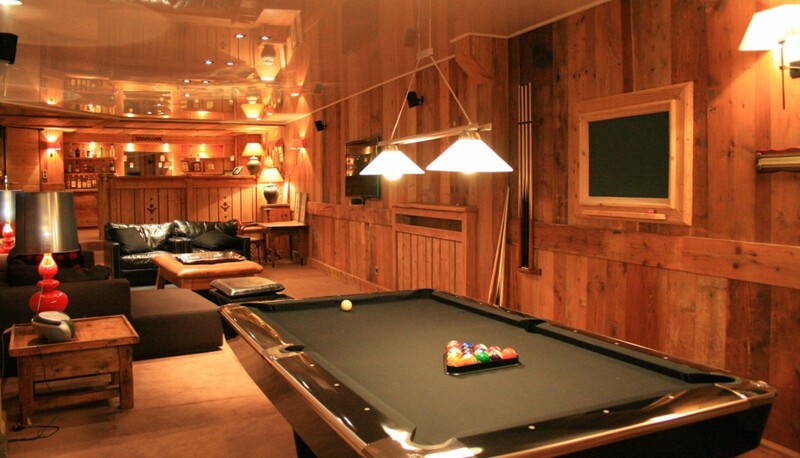 On this level is also a leisure area with a home theater, a pool table and a lounge with bar. 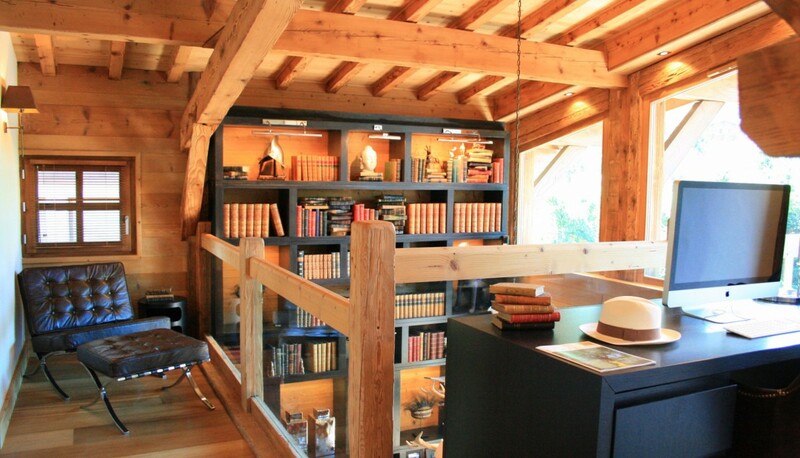 The shared living spaces on the upper levels are also charmers. Designed with a blend of contemporary and classic style, they feature blonde wood beamed ceilings, pale, honey hued wood floors and furnishings that encourage relaxation, conversation and fun. 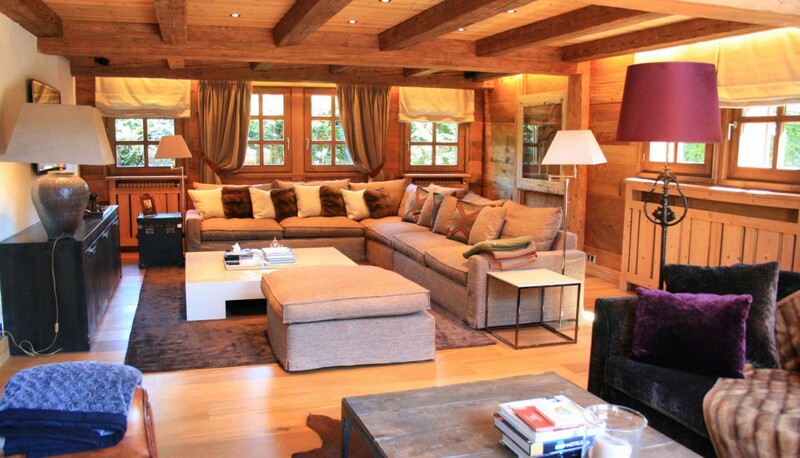 There is a large living room around the central fireplace. 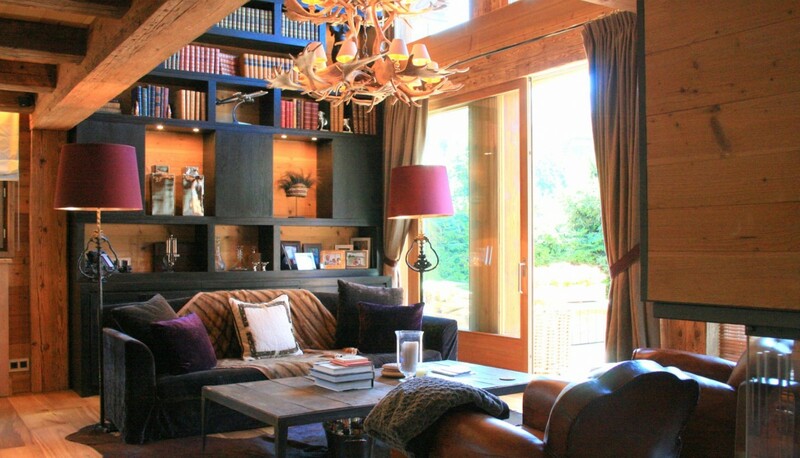 There is a library and TV snug on the mezzanine above, and the main level also features a large dining suite and stunning kitchen. Green marble countertops, golden wood cabinetry and the very best appliances make it a dream when making drinks or meals. The seven bedrooms are each wonderful retreats in their own and are spread between floors for good views, privacy and lots of space. The ground floor has a queen suite, the first floor features a double suite as well a queen suite and to king suites, and the lower floors feature two queen suites. 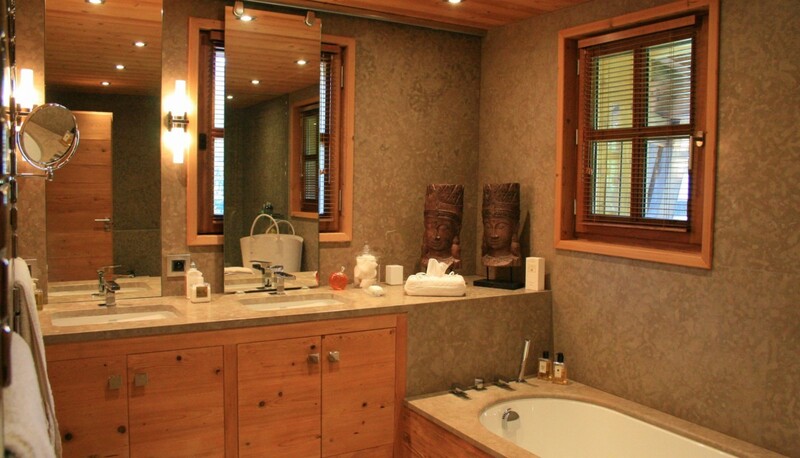 Most have ensuite baths, luxurious entertainment systems and views. 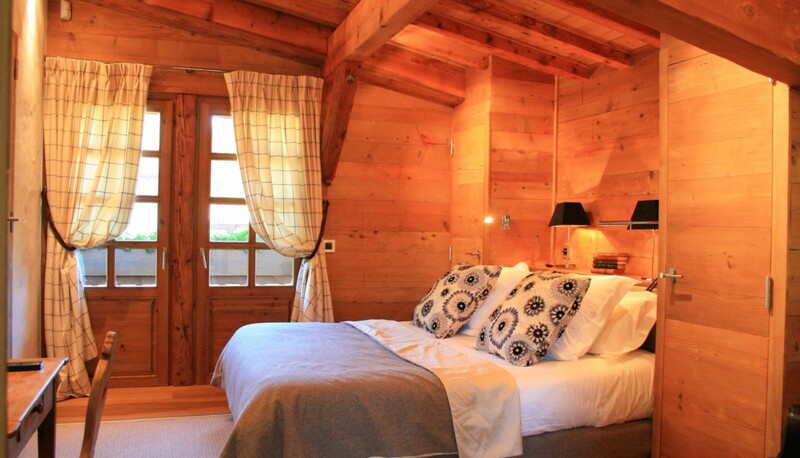 Gorgeous, convenient and a destination on its own, the Chalet Bouvier awaits. The rates include: Champagne reception upon arrival, daily housekeeping service, fresh flower and newspaper, bed and bathroom linens changed once a week, luxury toiletries in bathrooms, all utilities including WiFi and firewood. Getting there by plane : Geneva Intl. Airport 1 hr. Lyon Airport 2 hrs. Grenoble Airport 2 hrs. Paris CDG Intl. Airport 6 hrs. Megeve also has its own Altiport for private jet and helicopter transfers. Getting there by train : Closest main station is Sallanches, 12kms away. Bedroom 1: Ground floor bedroom with a queen-size bed, TV, iPod docking station and en-suite bathroom with shower, vanity and WC. 2 guests maximum. Bedroom 2: First floor bedroom with a double bed, TV and en-suite bathroom with shower, vanity and WC. 2 guests maximum. Bedroom 3: First floor bedroom with a queen-size bed, TV, iPod docking station and en-suite bathroom with shower, vanity and WC. 2 guests maximum. Bedrooms 4 & 5: First floor bedroom with a king-size bed, TV, iPod docking station and en-suite bathroom with bathtub, shower, vanity and WC. 2 guests maximum. 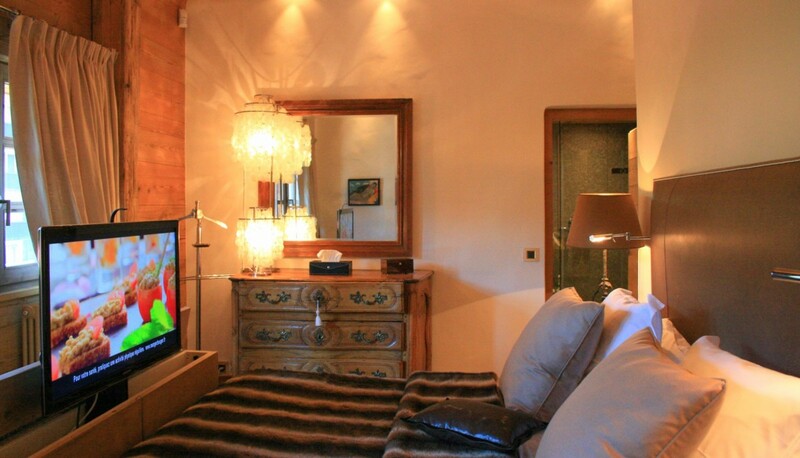 Bedrooms 6 & 7: Lower floor bedroom with a queen-size bed, TV and shared Jack-and-Jill bathroom with shower, vanity and WC. 2 guests maximum.